All welded shelf construction to support up to 800 lbs per Wire Shelf. Top mat shelf wires run front to back for easy loading & unloading. Easy to adjust shelves in 1" increments. No tools are required for installation. 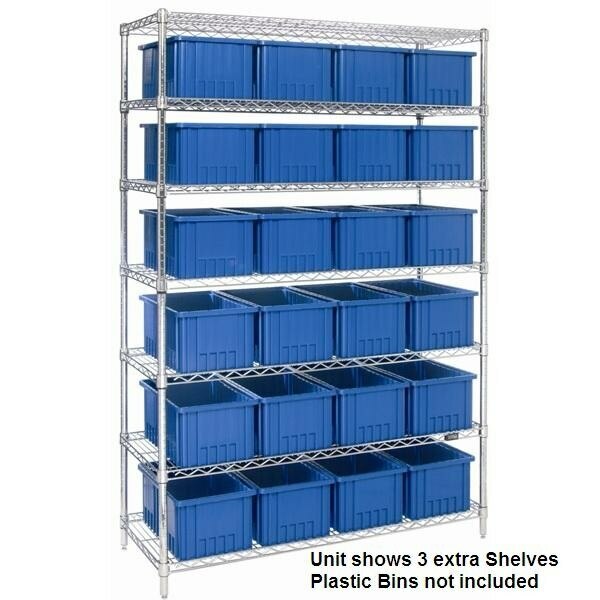 Chrome Wire Shelving Add-on Units include 2 Vertical Posts with Leveling Feet and 4 Wire Shelves with Plastic Inserts and S-Hooks to join the Starter unit.